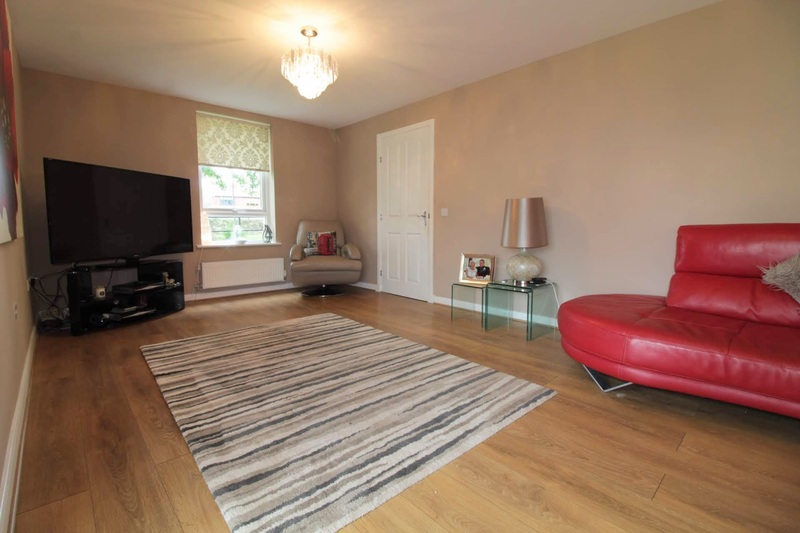 Hoppers Estate Agency are delighted to market this beautifully presented 4 bedroom, modern, detached property in Monkton. In walk-in condition, viewings are highly recommended. 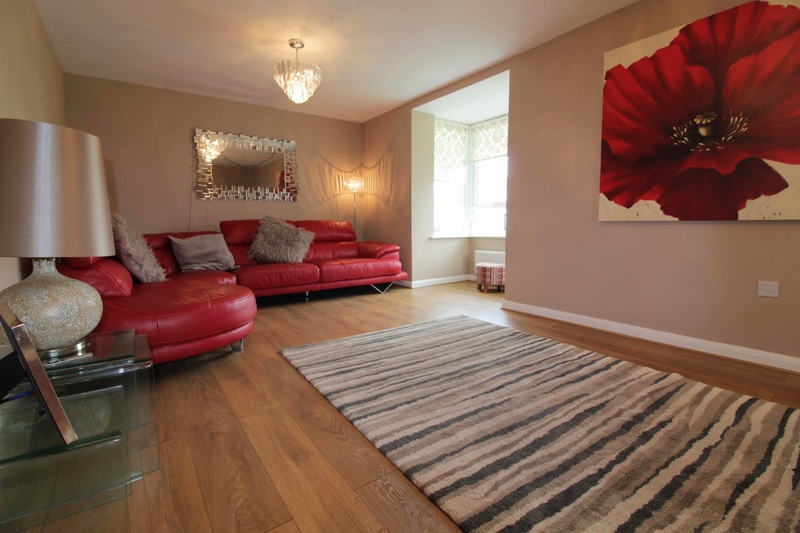 Located in a desirable residential development, the property is ideally located for easy access into Prestwick, Ayr, Glasgow and beyond. 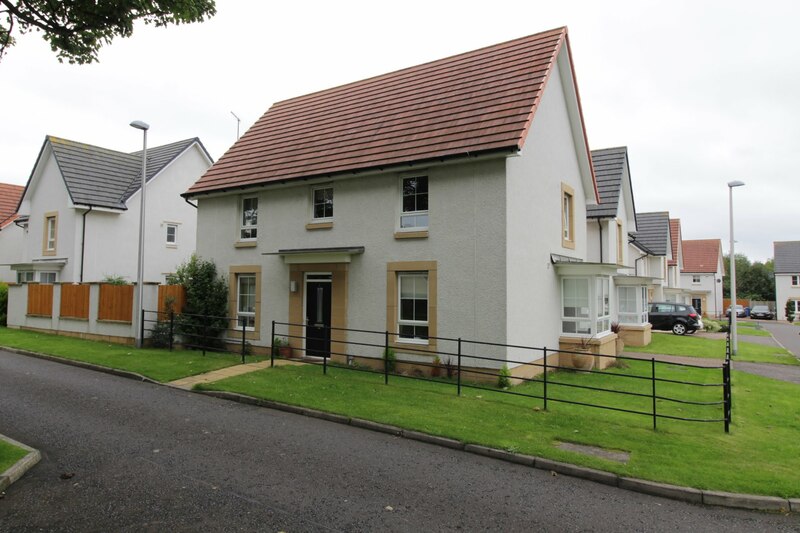 Monkton itself is a well kept, small village with local primary school, main street, and bordering Glasgow Prestwick Airport. 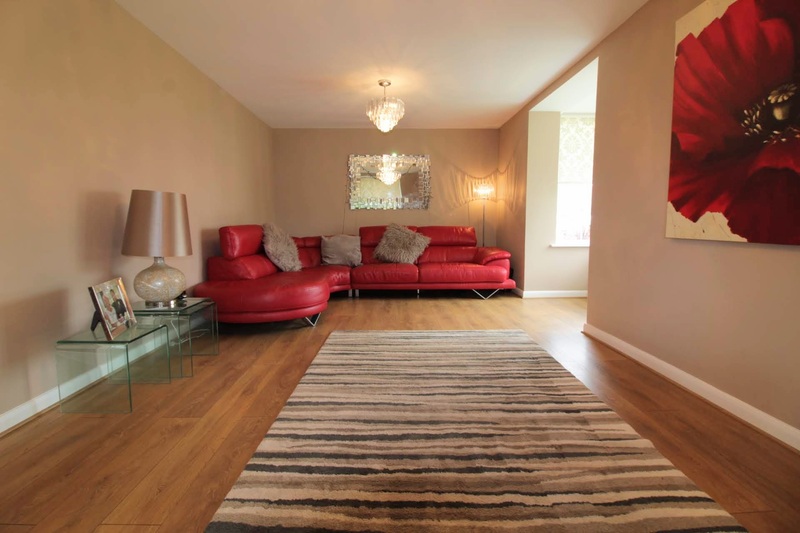 The property comprises a large lounge, spacious dining kitchen, utility room, 4 bedrooms, one with en-suite, bathroom and downstairs WC. 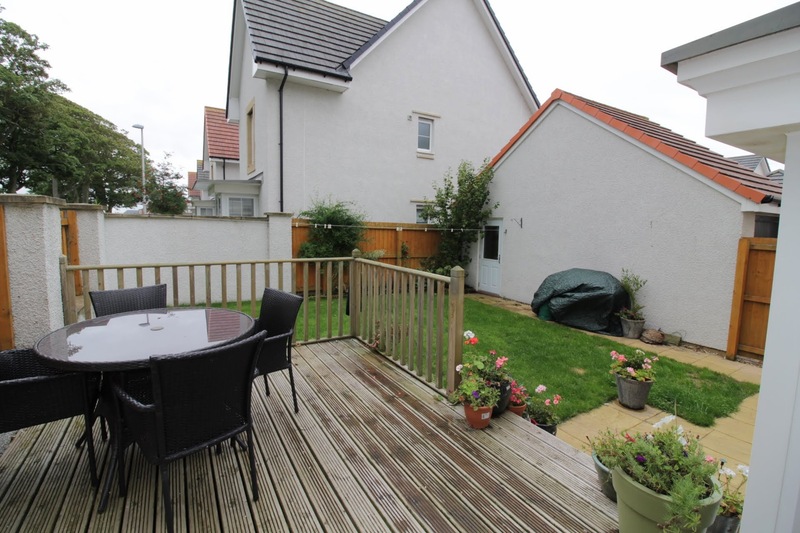 With a well kept rear garden, off street parking and garage. In more detail, on entrance is a welcoming hallway with stairs ahead. 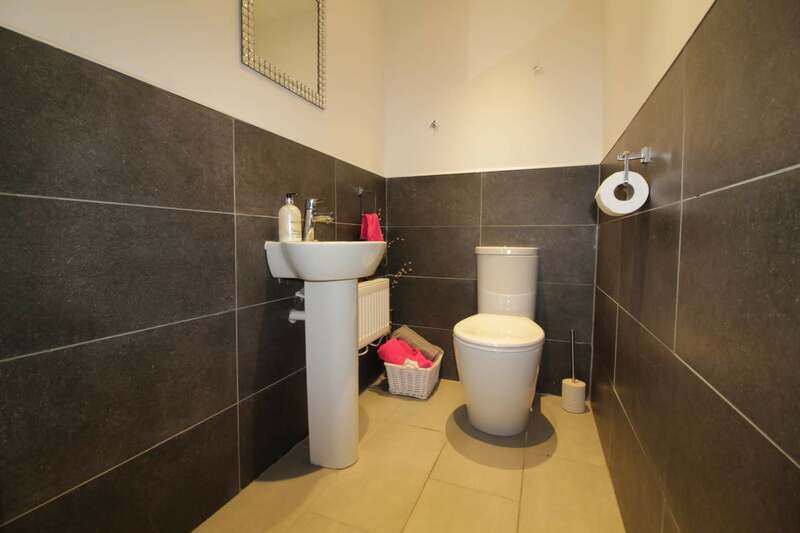 With bright neutral décor, and access to a convenient, modern WC. The large lounge to the right is bright and tastefully decorated; with wooden flooring, light walls and side facing square bay window. 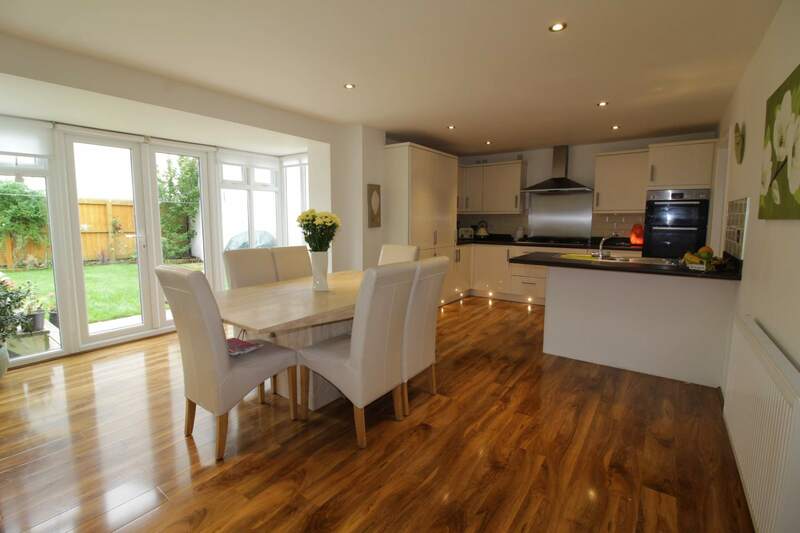 Across the hallway is the impressive, modern, dining kitchen, a bright room overlooking the rear garden. 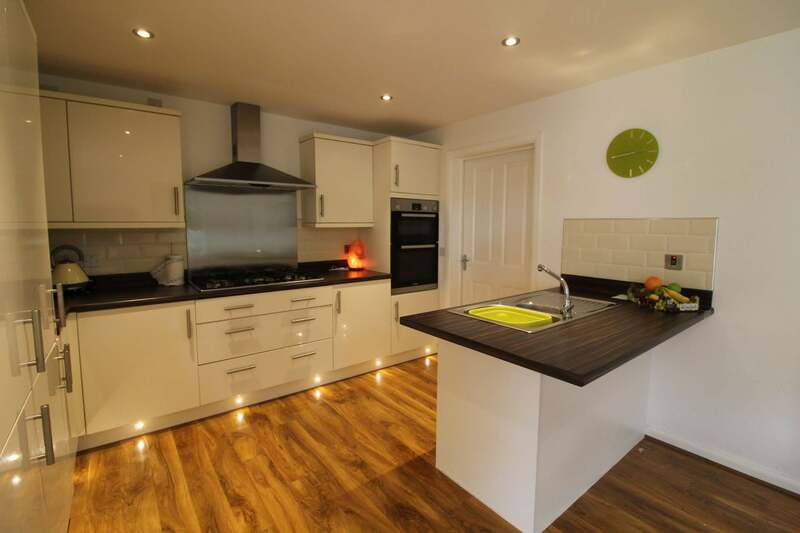 The kitchen at the rear comprises modern high gloss units with integrated oven, 5 ring gas hob, fridge-freezer & dishwasher, and wall and base units offers a good amount of storage and worktop space. In the dining area there is room for a family dining table, this attractive space is brightened by floor to ceiling windows, and offers access to the rear garden. The ground floor also benefits from a large utility/storage area with planning permission in place for a shower room to be installed. 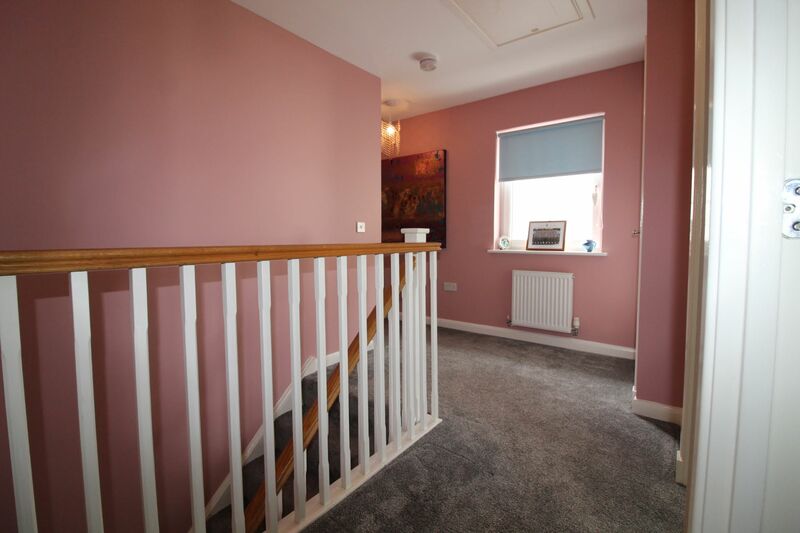 On the upper floor, a large bright landing offers access to 4 bedrooms. 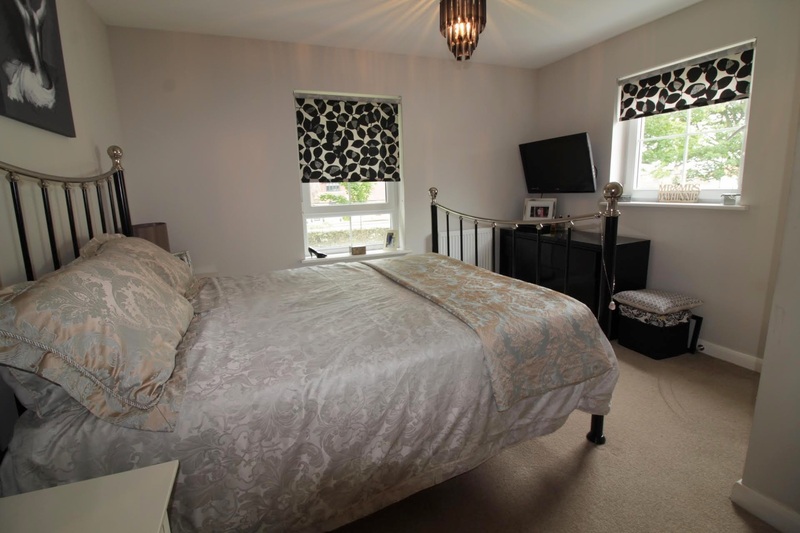 Bedroom 1, is the master double with en-suite, with dual aspects and tasteful décor. 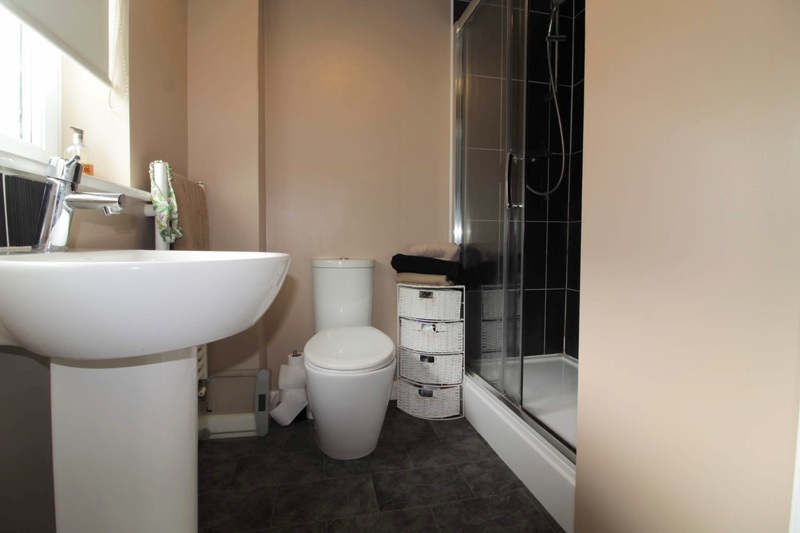 The modern en-suite comprises white suite with toilet, wash-hand basin and large shower cubicle. 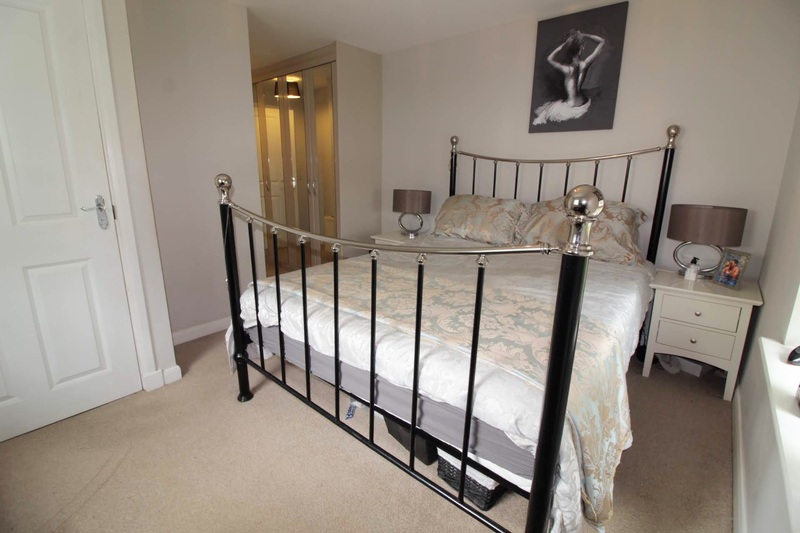 This room further benefits from large mirrored, fitted wardrobes offering excellent storage. 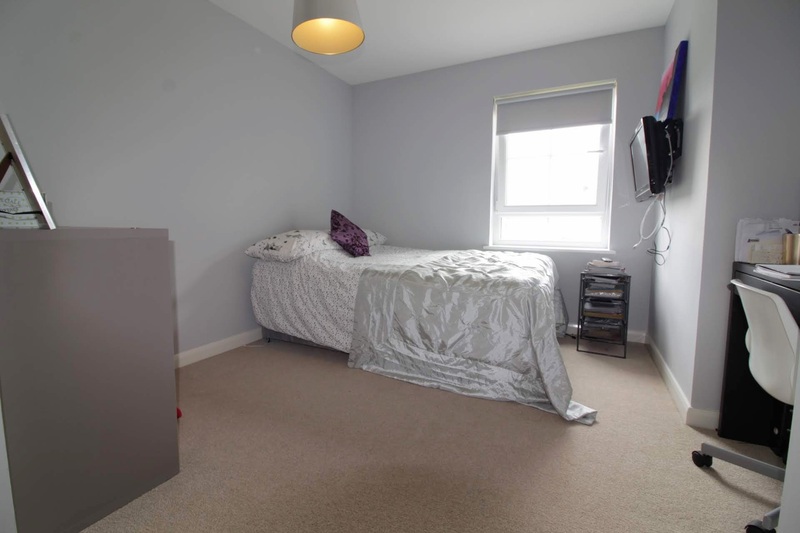 Bedrooms 2 and 3 are also spacious double, both carpeted with neutral décor, bedroom 3 contains fitted storage. 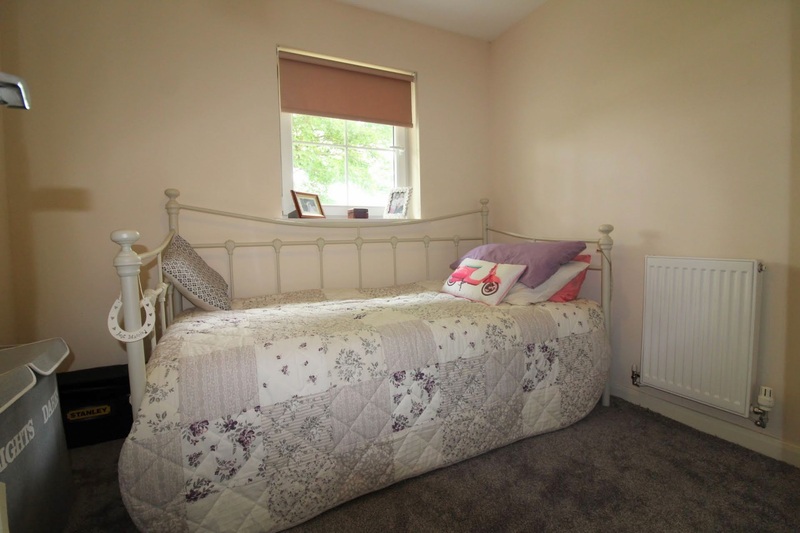 Bedroom 4 is a single sized room, again neutrally decorated, this room would make an ideal office, nursery or guest room. 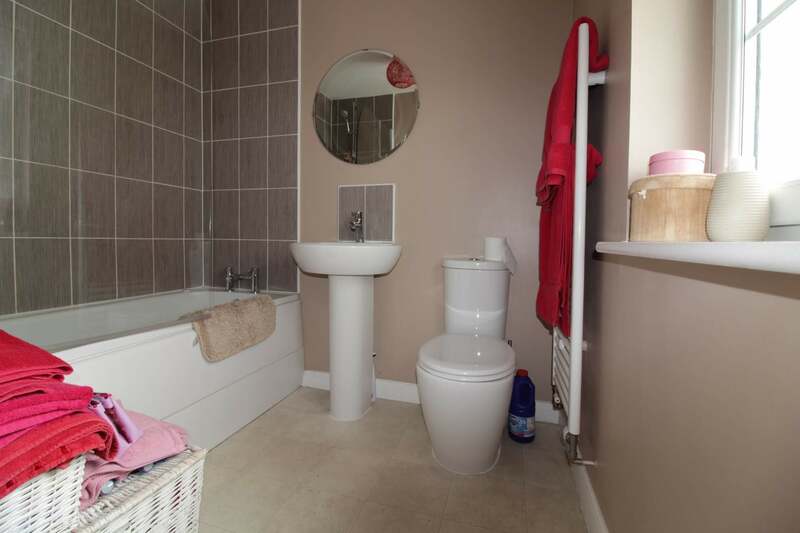 Also on the upper floor is the modern family bathroom, with toilet, wash-hand basin and bath with shower above. 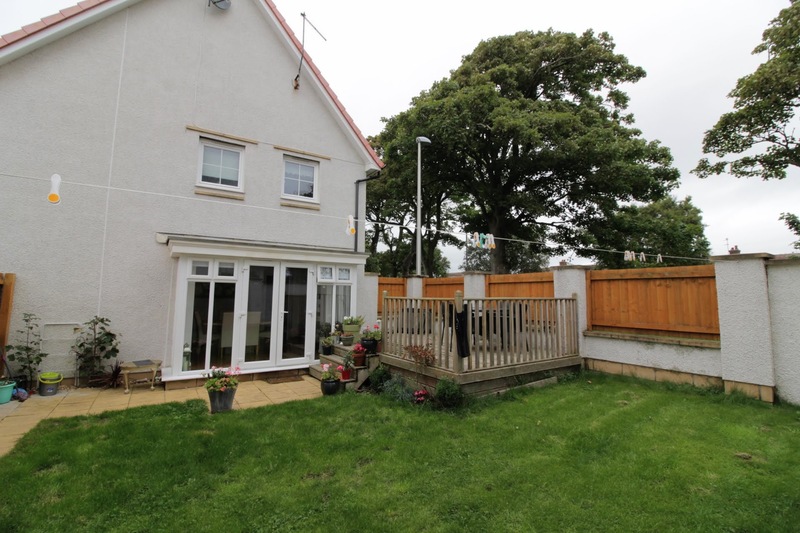 The property benefits from gardens at the front, side and rear. 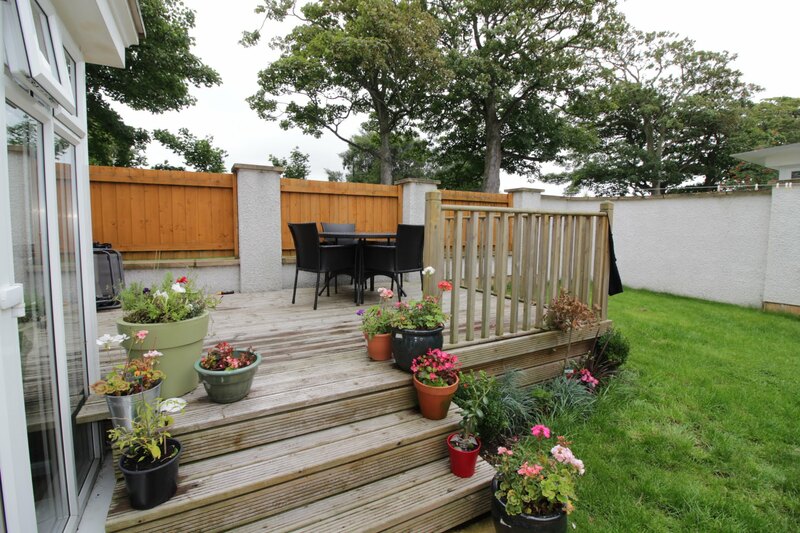 The modest garden at the front and side is fully laid to lawn, while the fully enclosed rear garden also contains a raised decking area ideal for outdoor dining or entertaining. 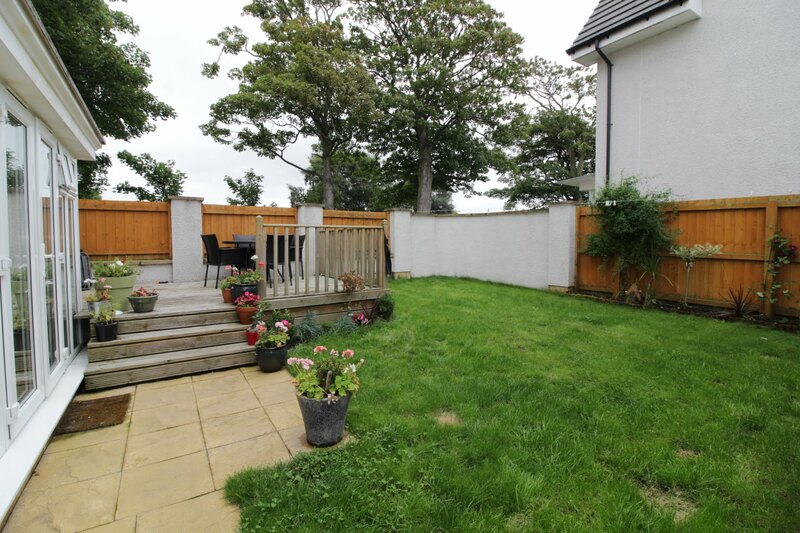 Also, well kept and easily maintained, the rear garden is of a good size and is completely private. 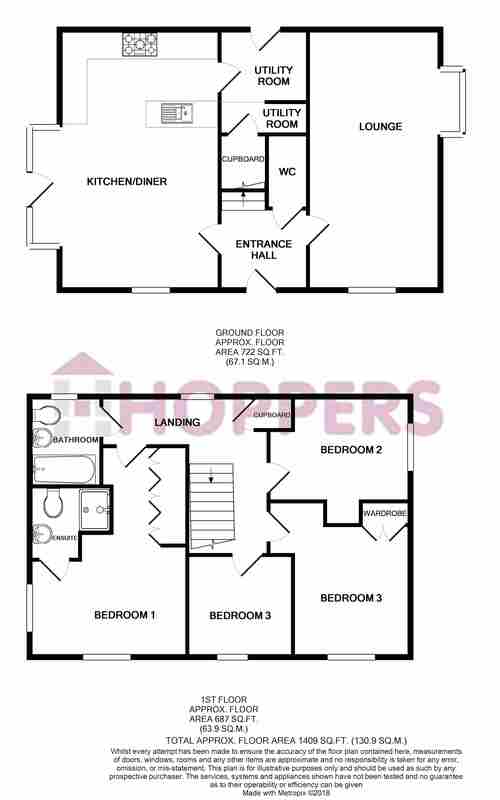 The property also benefits from a driveway at the rear leading a large garage. Lounge: 11'0x21'8 (excl. bay) approx. Utility: 7'4x1'6 + storage cupboard. Approx. Bedroom 1: 11'8x17'7 (at longest point) approx. 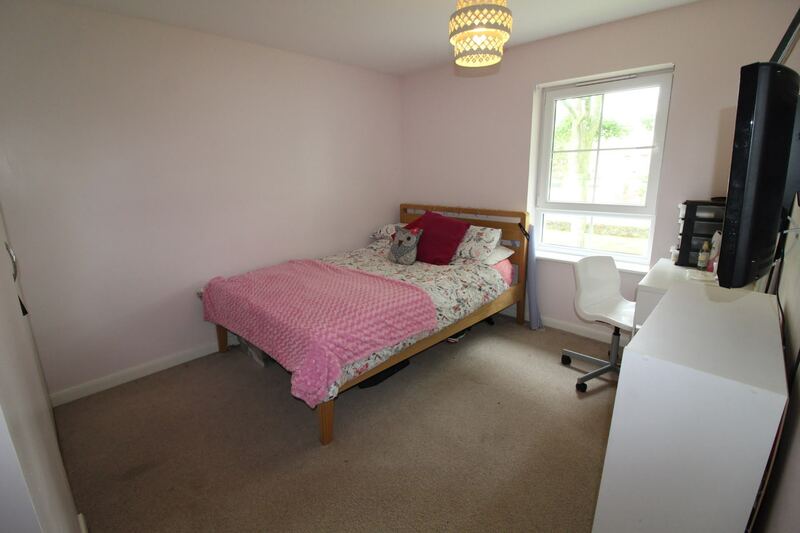 En-Suite: 4'2x5'4 (excl. shower cubicle) approx.